And so, dear reader, we return to the world of the cryptic hint, in which a musician decides to avoid expensive PR campaigns and simply tweets a form of code, allowing web detectives to go off one what it might be. 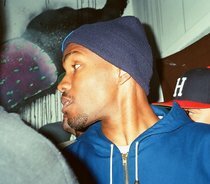 Today’s candidate is Frank Ocean. We assume this means something feature Kendrick Lamarr, Andre 3000 and Solana ‘SZA’ Rowe is coming, with Frank Ocean on it too. But we have no idea if that assumption is right.